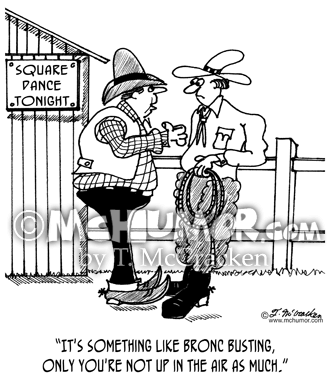 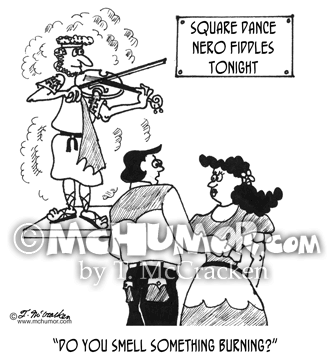 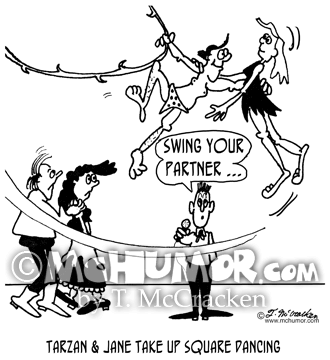 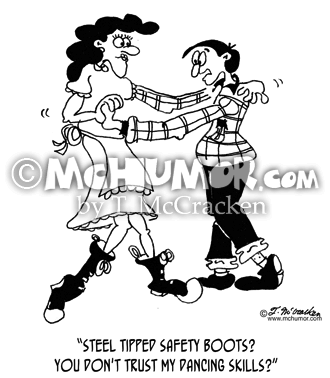 Dancing Cartoon 2933: At a Square Dance where Nero is the fiddler a dancer asks, "Do you smell something burning?" 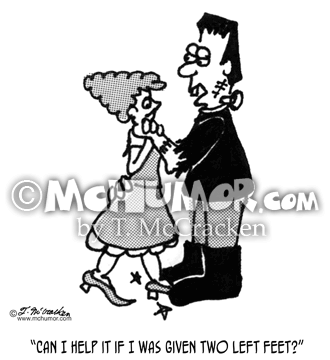 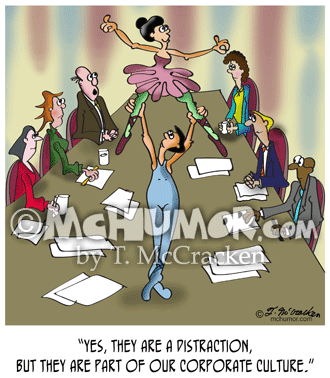 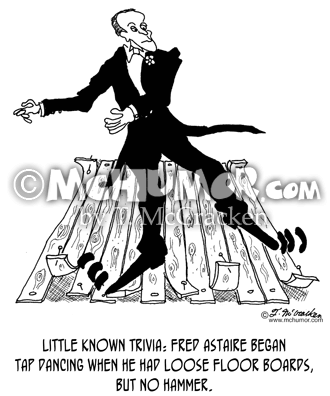 Dance Cartoon 1478: “Little known trivia: Fred Astaire began tap dancing when he had loose floor boards, but no hammer." 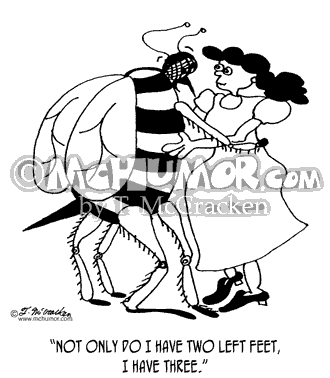 Astaire pounds nails with his feet. 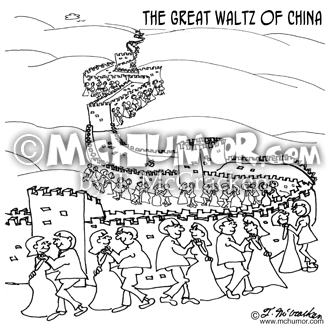 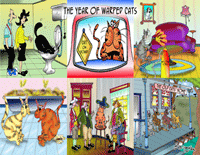 Waltz Cartoon 5455: "The Great Waltz Of China." 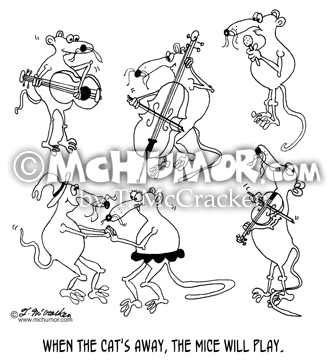 Millions of people dancing in a row next to the Great Wall of China.